Strength Training Update: New Exercises, Getting Stronger! Today, I learned some new strength exercises using the Cybex Smith machine. I've seen this equipment before but never knew the name of it. Wow, what a workout! I am sore so I know it's working! This machine is a good way to get the technique down before moving on to free weights. If Someone Has An Eating Disorder, Don't Wait To Get Help! As many of you may recall, I lost my older sister Anne two years ago last Sunday. She was a victim of an illness that is still so misunderstood. We still don't understand what causes the disorder and why the victims take the illness as far as they do. 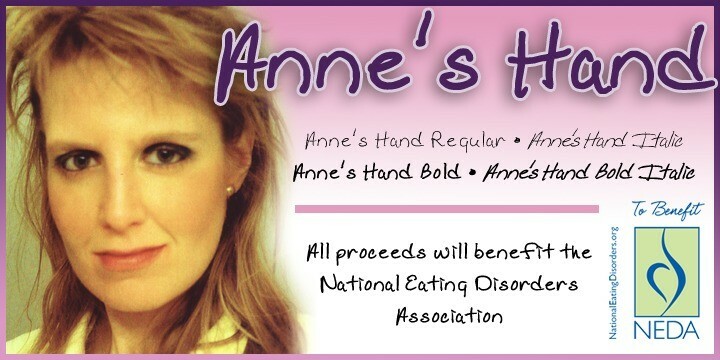 No one in my family knew that Anne was developing anorexia when she was a teen until it was deeply embedded in her brain. My parents did get her to a hospital and she was on the path to recovery. The trouble is, the thoughts were already there and she relapsed on and off for 25 years. On Monday, my older sister Anne would be celebrating her birthday. She succumbed to the anorexia that plagued her life for nearly 25 years. Did you know that 20 million women and 10 million men suffer from some form of eating disorder in the United States? Many times cases go undetected. Often times families don't know where to turn for help. There might not be a specialist that's close by and many families may have to send their child several miles away to get treatment. Also, the victims may refuse the help as they refuse to admit that they are sick.